Company admins are workers that have access to all timesheet data and are not restricted in any way. Non-admins can be restricted in the follow ways. These privileges are accessible on the Create Worker form or on the Edit Worker form. 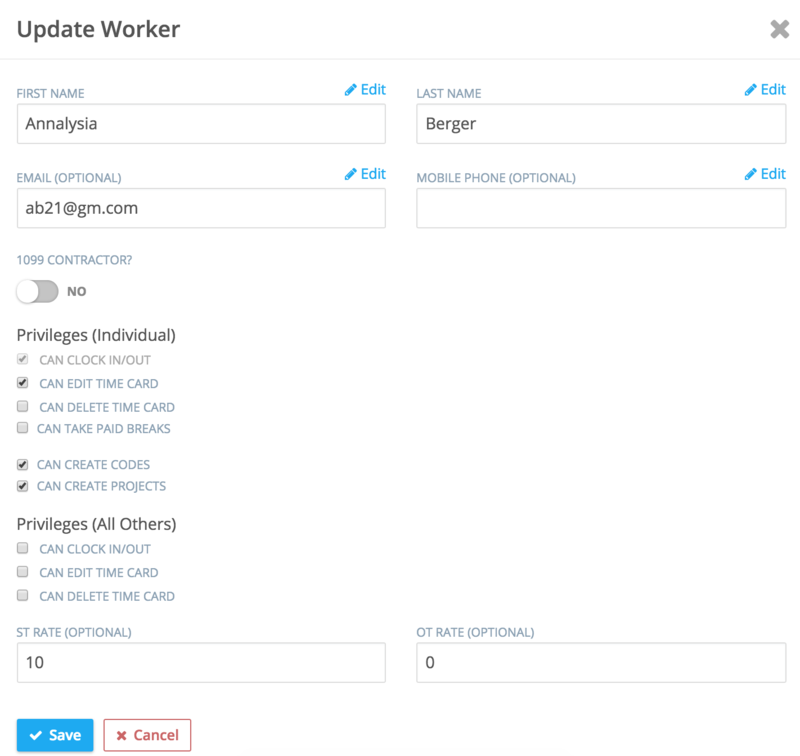 You can edit a worker by going to the Workers page and clicking the edit icon on the right side of the worker row.